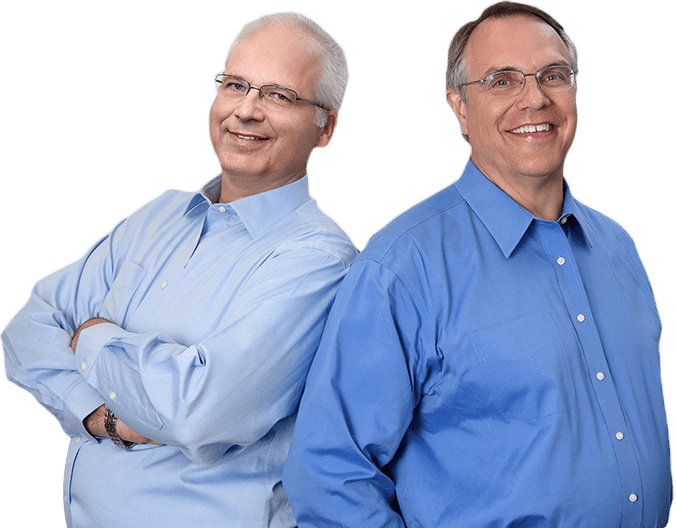 For years, Dr. Mark Farthing and Dr. Armin Tepner have practiced gentle and compassionate dentistry with your Indianapolis friends and neighbors. They take great pride in delivering a personalized experience based on understanding and trust, and we guarantee you won’t find a more caring and qualified dentist in Indianapolis. We can’t wait to get to know you and your entire family, and we look forward to providing the expert dentistry you want and deserve for years to come. At Indianapolis Family Dentistry, we provide general and preventive dentistry for patients of all ages. Dr. Farthing and Dr. Tepner are very gentle and patient — taking the time to help you understand your treatment options — and always ensuring you are 100% on-board with every decision. Our comfortable and kid-friendly dental practice even has plenty of games and toys to keep your little ones busy while they wait. Our office is a preferred provider with nearly every dental insurance company, and our financial coordinators are exceptionally skilled at quickly processing claims and maximizing your benefits. To provide clinically excellent care and maintain the highest level of professional integrity, our dentists will only recommend what they consider to be the best materials and treatments for your smile. Did you know aside from restoring function, dental implants mimic your natural teeth and help stimulate bone growth? If you want an attractive, durable, and permanent solution to replace missing teeth — you may be a candidate for dental implants. Our office uses this modern restorative solution to solidify smiles, increase confidence, and give patients a better quality of life. It’s the first thing people notice about you, and we want to help make it shine. Your smile is an important part of your self-image, but flawed teeth can diminish your appearance and decrease your confidence. Our office offers several cosmetic dentistry options, from teeth whitening to porcelain veneers to complete smile makeovers. We have it all to help you look your very best! If you’ve experienced tooth loss, you know the difficulties of missing teeth. That’s why tooth replacement is so important. One of the best and most affordable options for rebuilding your smile is a dental crown and bridge. This prosthetic device combines the security of two porcelain crowns mounted on healthy teeth with the natural appearance of false teeth that bridge the gap in your smile. Trust your Indianapolis dentist to have the restorative treatment you need to keep your smile looking its best!